Hostel Ka'beh Cancun i Cancun, Mexico: Bestill nå! 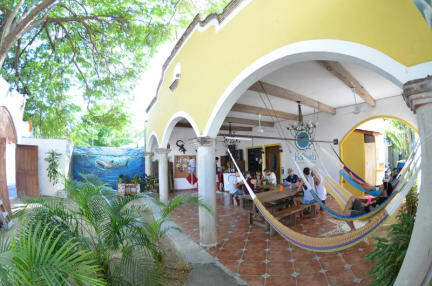 Greatest hostel I´ ve stayed at so far!! partyhostel for sure, but it´ s amazing. the staff is wonderful, superduper kind and helpful, and the daily trips to the beach is amaze, playa chac mool is such a gorgeous beach. really miss everyone at Ka´ beh, and will definitely go back. My home away from home! Best hostel in Cancun for sure! Something happening everyday and everynight! Super staff! Breakfast all day long! Super social! 50m from the Plaza where they have amazing cheap Streetfood! And 5min walk from busstation!